For over 20 years, EnviroTech’s nuisance wildlife experts have been around protecting households and families. 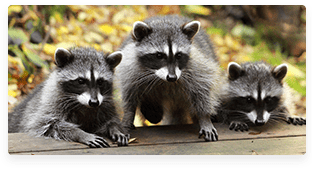 Our experts have a vast knowledge of humane treatments to evict wildlife from your home once and for all. Since we continue to invade wildlife’s natural habitat with our buildings and homes, we leave them no alternative but to enter our homes. Nuisance wildlife animal populations are expected to continually rise due to the plentiful food supplies and mild climate patterns. Our homes are designed to keep us warm and protected from all kinds of weather. Why wouldn’t an animal want to keep their family safe as well? Humans and wildlife are alike in the fact that each individual one is different. Because of this our experts have to properly educate our customers on the exact situation they are dealing with and the dangers associated with specific critters. Once a customer is educated on the situation and risks, there is a greater chance of success at your household. Envirotech’s strategy is to use humane methods to remove the animal as safely as possible. Typically, we try to establish a strategy that forces the animal to leave your home without return, (one-way exit). This way the animal(s) are able to leave and find shelter on their own terms, along with bringing their pups if any are present. After we safely remove the animal, we find and secure entrance points, such as holes, wires, cracks, and beams – anything they might use to reenter the structure. We make sure that your house is 100% nuisance wildlife free. Our nuisance wildlife experts will then complete a proper cleanup to ensure the animal’s harboring area and feces are cleaned up and thoroughly sanitized. This provides safe living conditions for your home after the critter has been driven out. What You’ll See: Search out signs of animals that could be seeking shelter nearby, like feces. What You’ll Hear: Listen for sounds of scratching in the walls and ceilings. Animal noises such as a chirp or squeak could imply a problem. 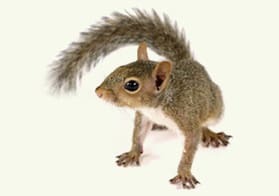 Nuisance wildlife creatures include skunks, raccoons, mice, birds, chipmunks, squirrels, opossums and more. The pest management company should be licensed by the state and insured. Technicians should have experience with nuisance wildlife. Choose a company based on their quality of service. We recommend reading reviews and checking out testimonials before choosing a business. A pre-inspection should be conducted to assess the scope of the work. If you are not satisfied with EnviroTech’s results during your guarantee period we vow to readdress the area in question for no additional charge. You get a 100% guarantee as long as you’re calling us for the job.